The Secret of Global Business Success? More Women in the Workplace. For a business to be successful, it needs to make the most of its personnel resources. If a business was only using only 48% of its resources, it would be outcompeted and squeezed out of the market. And yet, this is what the global business environment is doing—wasting up to 52% of its labour force by not hiring enough women. When companies find themselves asking what makes a business successful, the answer might just be more women in the workplace. Here are some examples of how businesses can benefit from hiring, retaining and promoting women. In its 2018 Global Recruiting Trends report, LinkedIn identified diversity as a key recruiting trend. A few years ago, diversity was just another box large businesses and organisations checked to be politically correct. 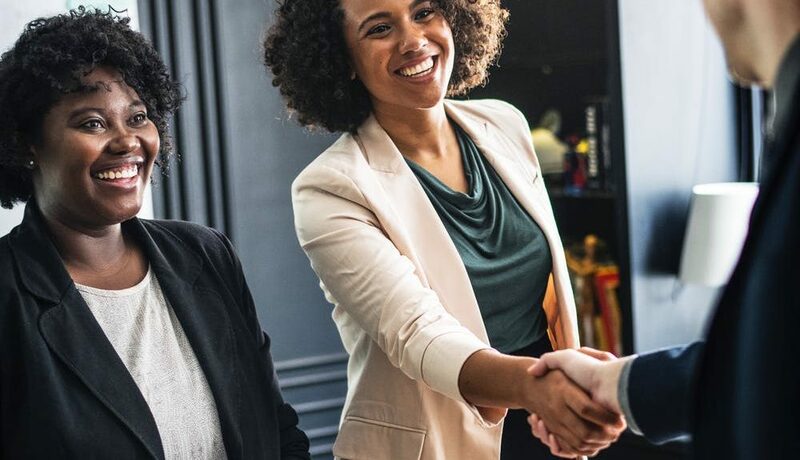 Today, the tide has turned; businesses focus on hiring more women because it’s a great way to improve company culture, business performance, and better understand and represent customers. Pandora adds purpose to employee gatherings by supporting events that better align with Pandora’s values, such as women’s leadership. The company also has employee resource groups for women and fosters an environment in which they are encouraged to speak up and effect change. Another outstanding example of a female-friendly workforce is Lever. Lever’s gender balance is impressive: females represent 50% of its workforce, 53% of management, 43% of engineers, and 40% of the board. Successful businesses need to expand their talent pool, and women have yet to be leveraged at their full capacity. For more than 30 years, women have been earning more bachelor’s degrees than men. If there are more educated women, it stands to reason women have a better shot at being hired for entry-level jobs. This should be the case, but it’s not. -Women are less likely to be hired for entry-level jobs. -Women are less likely to be promoted or hired into manager-level jobs. Rocio Lorenzo is a management consultant and diversity researcher. She found that hiring women should be a business priority for companies and organisations. In 2017, she conducted a study that found organisations with women in management are more innovative. Her report showed innovation revenue rises as the share of female managers increases above 20%. Alibaba, Apple and other innovative companies are making strides toward this objective. Women account for 47% of Alibaba’s employees with 33% being in senior roles. Apple is a long way from achieving Alibaba’s numbers: 32% of Apple employees are women and, at the leadership level, only 29% are women. According to State of The Workplace Report by Hive, women work 10% harder than men in today's offices. Teams that included at least one female member had a collectively higher IQ than teams that had just men, according to The Anita Borg Institute for Women and Technology. Having more women in higher management means an increased return on invested capital. The Anita Borg Institute for Women and Technology analysed Fortune 500 companies and found companies with at least three female directors experienced an increase on invested capital of more than 66%, a return on sales of up to 42%, and a return on equity increase of 53%. Having more women in the workplace actually makes an organisation a better place to work. Employees feel a greater psychological safety, team members feel more confident and more open to experimentation, and team efficiency increases. When more Women Join the Workforce, wages rise by 10%, including wages for men. Businesses still have a long way to go in terms of hiring and promoting women.. The #metoo movement has revealed the massive scale of sexual harassment and sexual assault many women face, including in the workplace. The corporate world is slow to change. The 2018 Google walkouts brought to light how the company needs to change the way it handles sexual harassment claims and other workplace issues such as unequal pay. In 2019, Google employees are still protesting in the street. Other companies are making faster strides. In 2018, Microsoft announced they will only work with suppliers who provide their employees with paid parental leave. When other companies start examining how they can incorporate more women into their workforces and supply chains, the world will see stronger organisations and a healthier business environment. Change is slow but necessary. Julia-Cristina Uță is one of the most passionate writers when it comes to the Digital Environment. With a rich background in blogging, she brings inspiration to #worldchangers through her daily articles published on BRAND MINDS blog. Her professional experience started with Social Media Consultancy, continued with Corporate Writing and now Content Strategy, always looking to improve her writing skills and learn from the best.